I’ve said it before, I’m a big fan of Andreas Staier. His Diabelli-Variations are outstanding (see review here). Therefore, I was rather disappointed not to like his recent release of the Bach harpsichord concertos (see here). It appears now that most other reviewers don’t share my opinion by the way. I’m still not convinced unfortunately. But from Bach, let’s move more than a century later. I haven’t reviewed any Brahms album for a while, which is weird given that he appears in my blog title. I must admit I wasn’t historically a big fan of these sonatas, I found them not very accessible. These sonatas, as well as the Clarinet quintet & trio, were triggered by Brahms meeting the famous clarinet player Richard Mühlfeld. But with Andreas Staier, I had to give them a go, so I went ahead and purchased this 2015 Harmonia Mundi album. 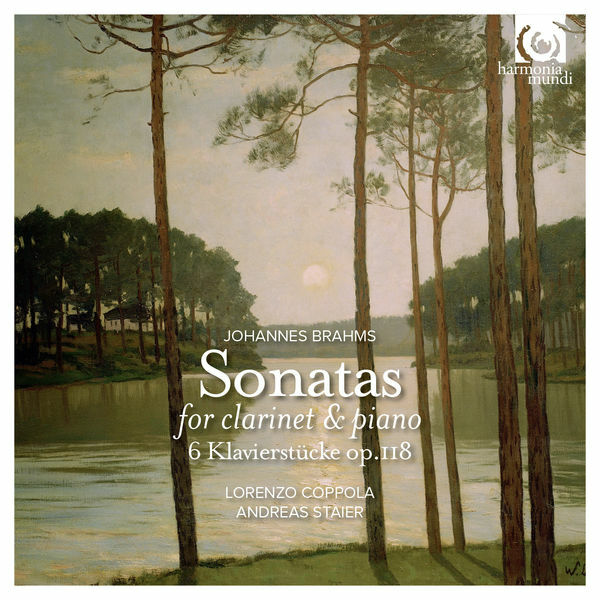 Andreas Staier plays a Steinway on this album, which could be considered somewhat unusual given that he is known for playing historical instruments. Well guess what, this Steinway actually is from 1875, apparently the type that Brahms really appreciated. On clarinet, we get the Italian Lorenzo Coppola, who plays a 2001 reproduction of a historic clarinet which is very similar to the one Mühlfeld played. So we’re getting really close to what Brahms could have listened to in his final years. And all over sudden, the full beauty of these late works really becomes apparent. However, to me (with my piano background), the true highlight on this album are Staier’s version of the 6 piano pieces op. 118. Let me clarify first of all that I love Brahms late piano pieces from op. 116-119, and op. 118 is a particular favorite of mine. And here, especially the second Intermezzo (track 6) is played more beautifully than on any of my other recordings (I’ll be writing about some of them soon). Staier uses tons of rubato, but it comes fully naturally. There is so much intensity in this playing that I’ve had them on constant repeats quite regularly recently. Or take the “Romanze”, truly romantic indeed. As usual on Harmonia Mundi, this is well recorded. My rating: 4 stars for the clarinet sonatas (rating my preference of the repertoire here, not the playing), 5 stars for the op. 118. P.S. If you like op. 120, you should know that there is also a version of these sonatas replacing the clarinet by a viola. 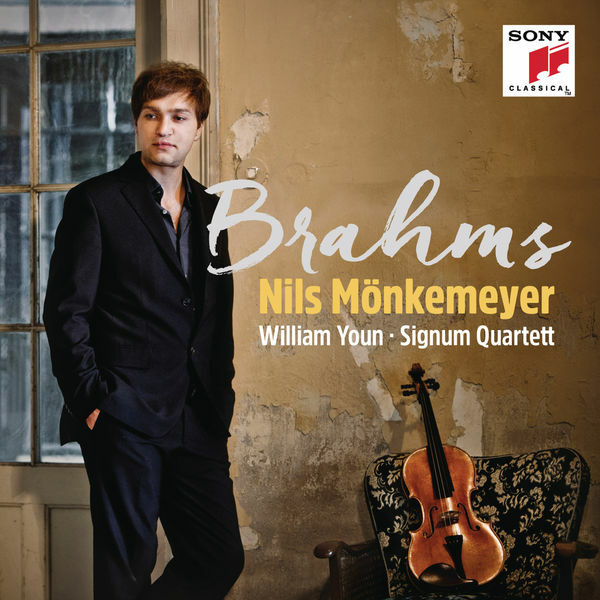 The well-known viola player Nils Mönkemeyer has just released an album on Sony playing these sonatas. This album is really quite beautiful and also worth checking out.